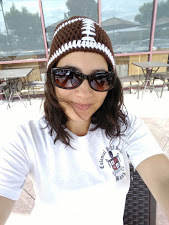 This Slouchy Hat is fun, comfy and different. This hat reminds me of when I used to be in marching band at Colonial High School. During summer band camp, the Tubas (yes! I was a Tuba player) used to have a hat we called Sparkles Magee. It was awarded to the Tuba player that won the challenge posed to us by our group instructor, and up for grabs each day with the new challenge. The pattern is courtesy of Bernat yarns via Yarnspirations. It is easy and quick to work up – taking approximately an hour or so to complete. It is rated Intermediate, but don’t let that scare you. It is rather easy! The hat is made to fit the average lady’s sized head. In my opinion, the hat is a tad bit too big. My head measures 21.5″ around and this hat kept falling down. 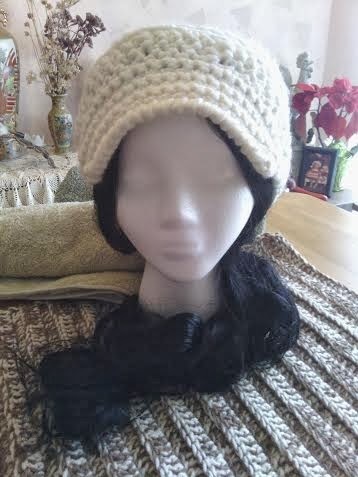 I’m planning on giving this hat and a scarf I put together myself to my niece, Kynara. She has lots of curly hair and I think the style will fit her well. You can find the blog entry to the scarf HERE. I will be making another set for myself (since I absolutely love everything about it!) 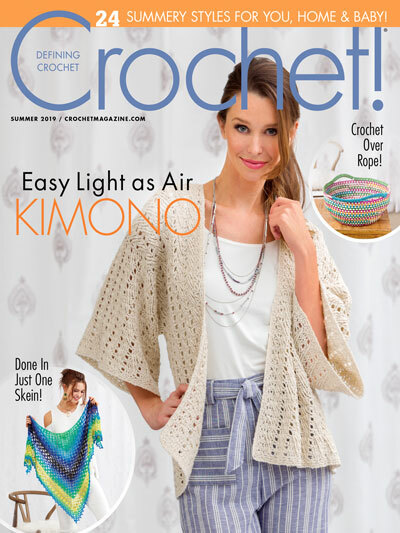 but I will probably use a size L11/8mm crochet hook to make the hat hug my head, but still use the M13/9mm hook for the scarf. I strongly dislike visible seams. I did join the ends of the rows according to the pattern (as I usually change it up). I’m still feeling iffy on the seams, but it’s not really noticeable. I may mess around with the pattern a little more the second go-around. 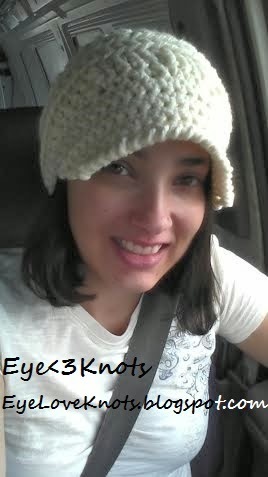 This was my first crochet hat made with a visor. 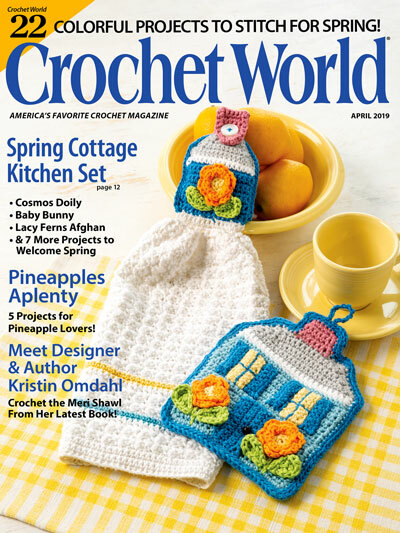 I wasn’t sure how well it would hold the form but the single crochets bring it together nicely. This was also the first time I learned/used the reverse single crochet. The pattern attempts to explain the process, but I found this YouTube video courtesy of Tamara at Moogly to be quite helpful. 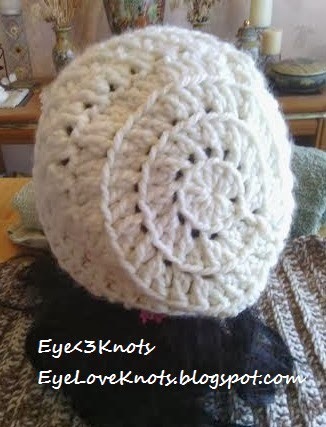 The reverse single crochet adds a neat twisted, but finished look to the brim. 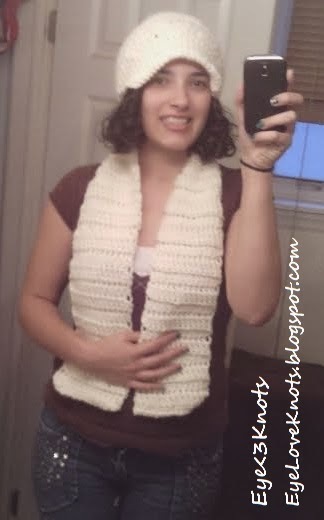 The pattern uses one of my favorite yarns, Bernat Softee Chunky. I used the color Natural, which is like a cream color. This yarn is soft, has a nice stretch to it, is warm, is strong, and comes in a variety of colors. It’s chunkiness allows for projects to be worked up quickly. Your choice of color will depend of the number of balls necessary for each project as self striping colors tend to come as 80 grams, and most solid colors in 100 grams. *If you’ve used Bernat Roving yarn before, you will notice there is a small similarity between these two texture and weight wise. For only $5.99, you can get a lot more yarn in a ball of the Bernat Roving yarn, however, I do prefer the Softee Chunky mainly because it is more durable as the Roving yarn pulls apart easily, but also because the Softee Chunky yarn is softer and more flexible, and I think overall just put together better. The Roving yarn also tends to tangle similar to that of the cord to a land line phone. 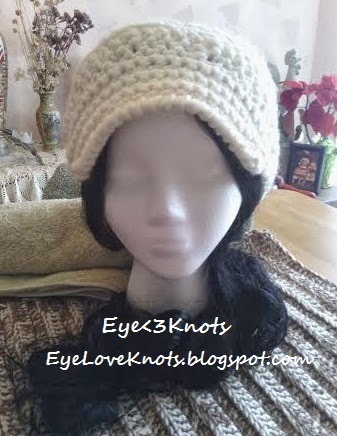 This Short Crochet Slouchy Hat with Visor can be found for purchase in my Etsy shop, along with a matching scarf I put together. You can found the blog entry for this here. There are lots of colors to choose from so if you’d like a different color, here you can find color options. I welcome custom orders and/or adjustments, so please don’t be shy to ask!